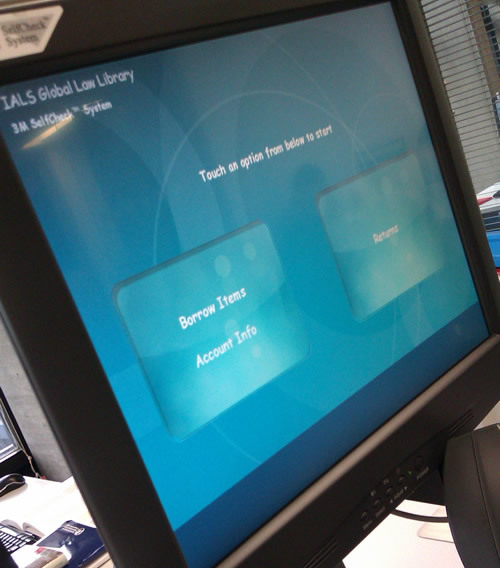 IALS Library now offers a Self-issue service for all readers with library borrowing cards. Please ask at the Issue & Enquiry Desk if you need help with using this service. Readers can continue to borrow and return their books at the Issue & Enquiry Desk if they prefer. Self-issue provides a fast and easy way to issue or return items during library opening hours. 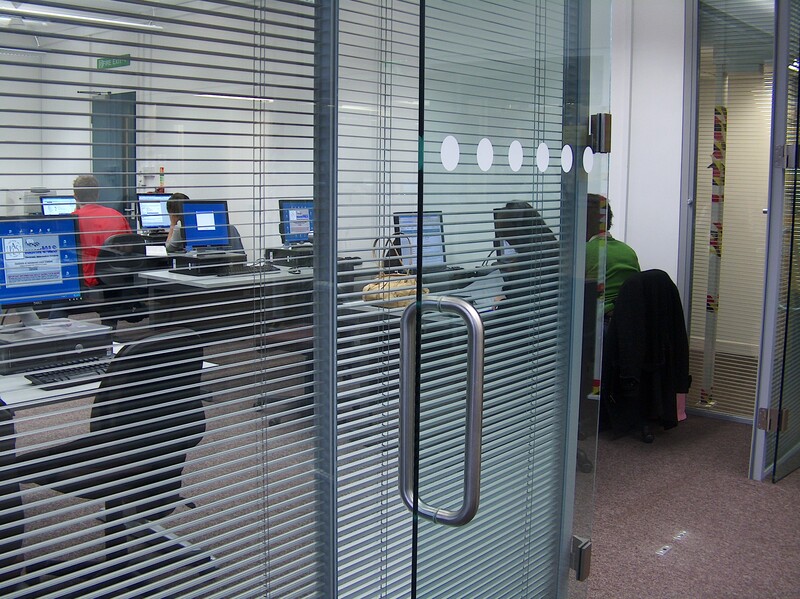 During library late opening periods from October to June, the Issue & Enquiry Desk closes at 19:45pm. Our Self-issue unit means readers are able to issue and return items after this hour. 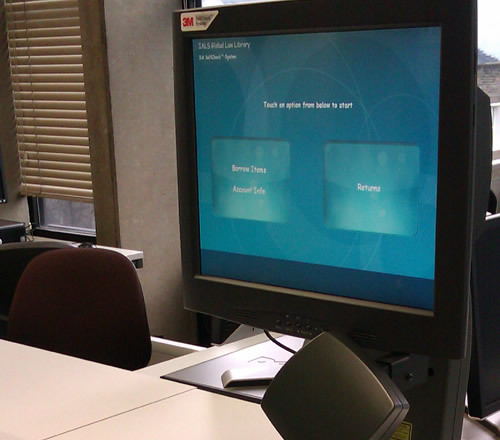 The Self-issue machine is located on the 4th floor Library Concourse, opposite the Issue & Enquiry Desk. Readers can continue to borrow and return their books at the Issue & Enquiry Desk at any time. If the Issue & Enquiry Desk is very busy, Self-issue is in easy reach for library readers. Is it Only For Books? No, you can return other items such as library offprints, cables or network configuration USB keys. Once returned on the system, just drop them through the yellow letter box by the side of the machine. If the box is full, please inform staff at the Issue & Enquiry Desk, or security staff after 20:00 pm. Yes, you can renew items by returning then re-issuing them. Be aware that this is only possible for main collection or short loan items that have not been requested by another reader. Any reference works from short loan need to be returned by 19:45 pm during the week. At other times they must be returned at 17.15 pm and 18.15 pm respectively (Saturday and Sunday). Please check library opening hours. Our hours change during bank holidays and extended opening periods. Self-issue is freely available during the library opening hours. The IALS Global Law Library homepage. Click here for more information on the library, its resources and services.